that makes it an exclusive diamond in the rough. Setting it a part from a public retail space, this place customizes your experience and helps you to unload the weight of the day in order to REWIND & REDEFINE our Sense of SELF. We offer nothing that can replace your Medical Diagnosis, or General Practitioner Services. You should never just QUIT any pharmaceutical prescription without your General Practitioner's knowledge & professional guidance. BE A GOOD YOGI TO YOUR SELF. BE SMART ABOUT YOUR BODY & WELLNESS. ** Our Clinic offers Treatments that are created to be COMPLIMENTARY THERAPY to what you may already be working thru. However you do not need to be on anything to enjoy using this Non-Invasive Vibrational Medicine format. You have been advised. 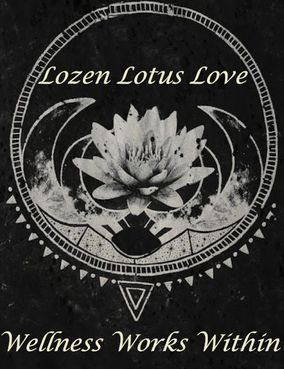 Back to a verbal Tour of Lozen Lotus Love Clinic. The 1st thing one notices upon entering our ground floor clinic space is the dynamics of Ay Ses, our primary Wellness Worker. This Floor of her own Private residence is bursting with many aspects of her enchanting appeal. Along with having this comforting clinic space she also has a Sewing work room, Library, Craft work room, and Antique Furniture Restoration. Each aspect of her works has its own room. The Space is quite large so no one ever feels cramped, only a sense of mysterious notions and creations bursting from the seams. The Clinic takes up over 500 sq ft. Large & yet Cozy. With 2 windows in this Clinic Space Facing the South we have found here the kind of FLOW ROOTED in the Mysteries, Channeled through Ay Ses & her LUV LUV LUV for what she does. Ay Ses Dunya is a serious Healer. Effective in her efforts. Sincere in her deployment. As well as engaging & endearing while she effortlessly goes above and beyond the duty called forth in her vocation to ensure that each and every client walks out feeling better then they did upon walking in. It is a COMPLETE PACKAGE you will receive when calling on her~! 19. Mandala Meditation Mats, a 'Kit-Class' Made to go~!